If you’re anything like me, coffee's essential for making mornings a little easier. While grabbing a little pick-me-up at Starbucks may seem like a good idea, it can quickly add up and become a pricey habit. Modern coffee machines offer barista-like coffee for a reasonable amount of money, and they also let you skip the annoying lines of people, too. You'll be able to make your beverage exactly the way you like it, in the comfort of your own kitchen. Plus, it'll save you a few bucks in the long run. There's some great deals available right now, so you can bag a real bargain on one of the best machines. We’ve put together a list of the best coffee machine deals below. So read on for great discounts on Bosch, De'Longhi, Tassimo and more. Or pop back in another time if you don't find what you're looking for, we'll keep this page updated with the best discounts. 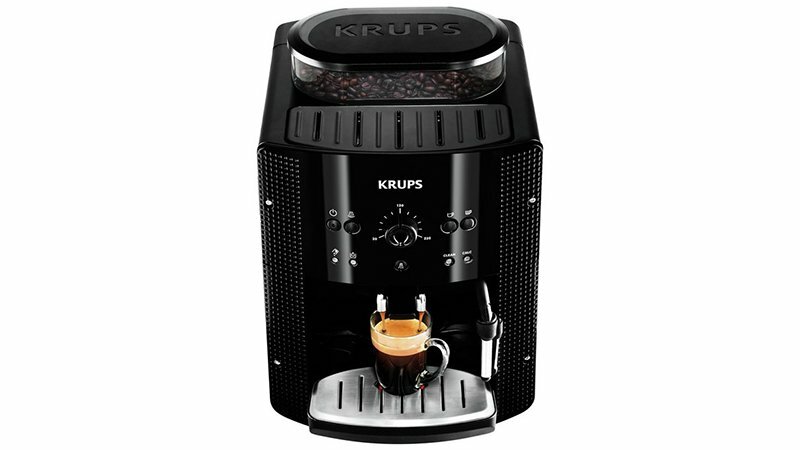 Save a whopping £220 on a quality bean-to-cup brewing machine from Krups. 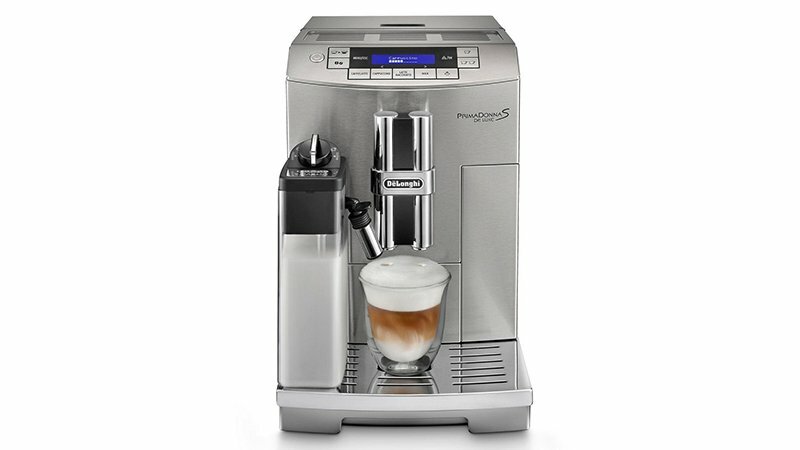 You can currently pick up this EA8108 model for just £209.99 and whip up barista-style drinks including espressos, lattes and ristrettos for half the regular price. It features an integrated burr grinder, 15-bar pump pressure and a milk frother as well as a fancy cup warmer and a descale warning light to ensure you keep it in tip top condition. Make a brew 'your way' with the intuitive Bosch Tassimo My Way coffee machine. Giving you the option to personalise the intensity, temperature and volume of your beverage, Bosch's coffee machine is like having an in-home barista. Before Prime Day rolled around the My Way machine retailed for £140 but Amazon has since knocked £60 off bringing the price down to a bargain £80. De'Longhi's Primadonna S Bean-to-Cup coffee machine has dropped in price by £196 over at Argos. It's still a pricey buy at £999 but if you're serious about coffee and love saving money, now's a great time to add one of these good-looking gadgets to your kitchen worktop. It has an integrated burr grinder with 13 settings but you can also used pre-ground coffee to create espressos, cappuccinos, lattes and americanos. The water tank holds 1.8 litres and it's fitted with a quality milk frother. With a super compact and quirky design, choice of 40 coffee varieties and high bar pressure, this automatic coffee machine will deliver delicious beverages at the touch of a button. Down from £120, you'll save £53 with this impressive deal. There's nothing like the smell of a bean-to-cup barista-quality coffee machine to get you going in the morning. And the only thing better? That very same coffee machine reduced by £330! The grinder has 13 settings so you can create the perfect blend that's just right for you. It's fresh too, with the 1.8L water tank filtered through an in-built purifier for that crisp coffee-shop taste we all love. The milk frother can turn your boring flat white into a professional level cappuccino or mocha, and it even has auto-cleaning functions, so there's no foamy mess to worry about. If you use the discount code 'SKA2' at checkout, you can nab 10% off the Nespresso by Magimix Prodigio, with which you can make a prodigious amount of delicious coffee at your leisure. In fact, with the Nespresso app, you could even make yourself a coffee while you're still in bed! With three cup sizes, adjustable automated brew times, multiple customisation options, and capsule buying reminders, this is the ultimate coffee machine for the busy professional. Currys has slashed the price of this foam-malicious bad boy by just over half, making it the cheapest it's ever been on the site. Even at full price, the Magimix Inissia represented brilliant value for money, but at under £45 it's incredible. It's compatible with 22 types of Nespresso capsule to ensure your morning wake up ritual never gets dull, and it also boasts auto turn off and energy saving technology. And don't forget that 3-year guarantee. The deal also includes the white and red versions of the Magimix Inissia, although sadly the red has now sold out. In our review, we said the Barista Touch was 'hugely customisable and incredibly capable' with a simplistic design that makes barista-quality coffee accessible at home. With an easy to use touchscreen that allows you to change the coffee's strength, milk texture and temperature and an ultra-speedy ThermoJet system that heats water in just 3 seconds, you'll get your perfect brew in minutes. Sage by Heston Blumenthal's Barista Touch has dropped in the John Lewis Electrical clearance sale to £749. That means you'll save £250 on a coffee machine that's sure to be a worthy investment for coffee lovers. For cafe-quality coffee that takes minimal effort, the Bosch VeroCafe Automatic coffee machine deserves your attention. After the click of a couple of buttons - just select your coffee of choice and ideal strength - the machine gets to work creating your perfect cup. You can adjust the outlet's height to fit even the tallest of glasses and select a 'two cups' option that'll prepare both beverages at once. Although Hughes have marked the RRP as £449, we've found that the coffee machine typically retails for around the £299 mark. That means you'll be saving a decent £50. You can save £50 on this slick coffee machine from Lavazza, thanks to an offer at John Lewis. The automatic milk frother will allow you to whip up velvety lattes, as well as topping off cappuccinos with the perfect frothy top. Also, thanks to the programmable settings, you can tweak the machine's output to perfectly match your taste buds' desires. And as an added bonus, there is also a two-year guarantee included with every purchase. Need some more buying advice and expert opinion on which coffee machine to buy? Not sure whether to plump for a manual espresso machine, a filter machine or a coffee pod or capsule machine? Check out our guide to the best coffee machines around.